After the 1986 debut, Pop Will Eat Itself made its mark on the independent music world by morphing from indie pop wonders into hip-hop rock crossover pioneers. Years ahead of their time, PWEI produced a furious mix of beatboxes, metal riffs, MC'ing and pop songs. 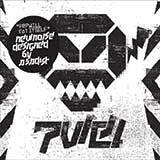 Industrial grooves, machine precise rhythms, and infectious grooves still prevail on New Noise Designed By A Sadist, as evidenced by standout tracks such as Nosebleeder Turbo TV, Equal Zero, and the pummeling Seek & Destroy. Crabb faced the challenge of creating a classic PWEI album a full 25 years after the first EP release. The result, New Noise Designed by A Sadist, is an album that sounds more exciting and relevant than most of what is being produced in 2011.